In the public intervention “Sculpting Fear – Obstacle” Julian Hetzel creates a rupture in the accelerated flow of the city life. He proposes a temporary counter model by creating an interference through standstill. 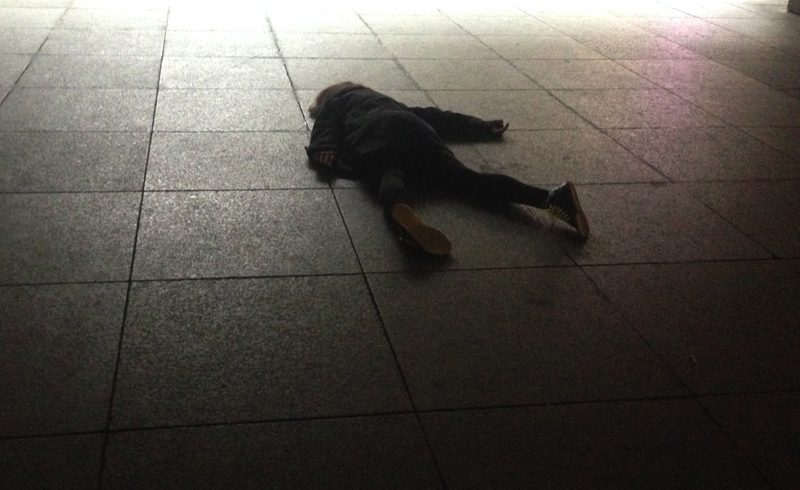 Hetzel works with a very simple proposition: people lying on the floor. This image is a challenge for the security and the public order since it generates an obstacle within the pulse of the streets. The existing codes of what is considered to be appropriate behavior are getting challenged. Value systems are getting interlaced and reality while fiction blend into each other. Everything is under control.